Home / concert / hoolabaloo / music festival / news / Party at KL Urban Music and Art Festival tomorrow! 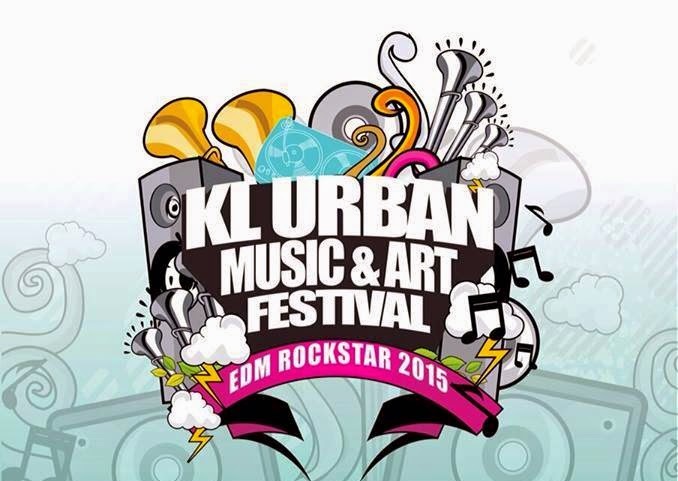 Party at KL Urban Music and Art Festival tomorrow! 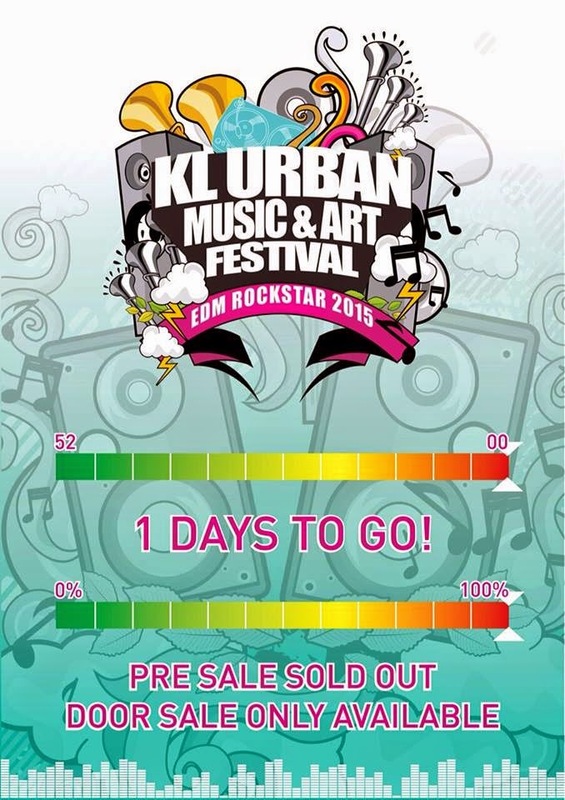 Get ready to party, 'cos KL Urban Music and Art Festival is tomorrow! 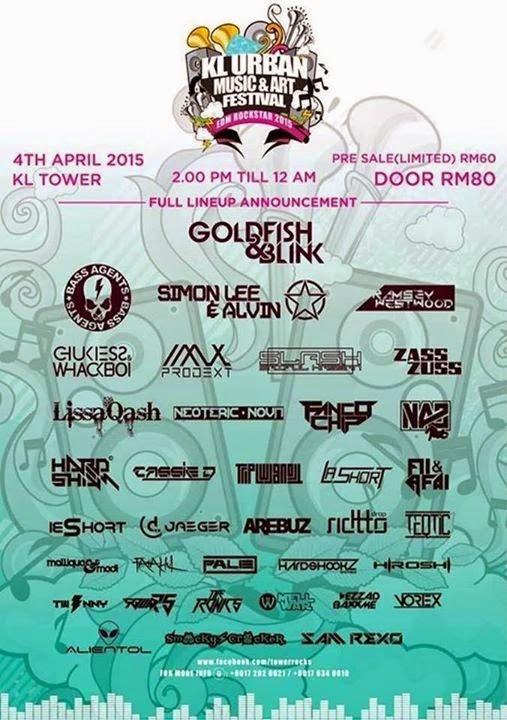 There will be 3 stages, with Goldfish and Blink to lead the stage along with 36 top acts including Simon Lee & Alvin, Zass Zuss, Lissa Qash, Fanco Chip, Alientol, Arebuz, Bass Agents and more. People from the Klang Valley can party all day long as the festival will take place at KL Tower from 2pm until 12am, tomorrow! If you haven’t gotten your ticket – rest assured, because you can just get them at the festival tomorrow at RM80 per person. Be sure to check out the local rock star at this EDM festival because it is definitely a party you don’t want to miss!